What should you be looking for in a criminal defense lawyer in Rockwall, Dallas, or Collin County? As a former First Assistant District Attorney in Kaufman County and former Felony Chief Prosecutor in Dallas County, I have an insider's understanding of the criminal justice system that I will use in your defense. Most of my clients are good people who just made a mistake and want another chance to turn their life around. Others can be falsely accused. Let me help you get your life back. Many attorneys have a one-size-fits-all approach to criminal defense. This can have horrible repercussions and cause you additional hardship and loss of freedom. I have tried over 150 jury trials and I am Board Certified in criminal law by the Texas Board of Legal Specialization. I have also been given an AV Martindale-Hubbell Peer Review Rating, which means that I have been deemed to have preeminent legal ability and the highest professional ethics in my field. Board Certification, AV rating, and trial experience are key components in what to look for in a criminal defense lawyer who is at the highest level of the profession. I understand how the prosecutor, the judge, and the jury will view your case and evidence. I also know when the law can make or break your case. Failure to take any of these factors into account can be devastating. I demand the best possible resolution in every case for my clients, whether the result is achieved by a skillful plea agreement, a dismissal of the charges prior to trial, a "no-bill" by the Grand Jury, or an acquittal after a trial. Sometimes, the best outcome is convincing law enforcement that no charges should be filed in the first place. Every criminal defense case is different. While some cases call for diplomacy, others should be fought aggressively. Sometimes I have clients who say, "I am innocent. Why do I need a lawyer?" Unfortunately, if you have been falsely accused of a crime, you need a Dallas criminal defense attorney more than anyone. I have tried and handled cases encompassing the entire range of the Texas Penal Code and United States Federal Law. I handle felony and misdemeanor cases, ranging from DWI, drug crimes, assault, family/domestic violence, sexual assault, homicide, and probation violations to federal crimes, white collar crimes, weapons charges, robberies, and juvenile offenses. I can guide you through the process of nondisclosures and expunctions. As a prosecutor, I taught attorneys how to try Driving While Intoxicated [DUI] cases, Family Violence cases, Sexual Assault cases, Indecency cases, Murder cases, and more. I taught criminal investigators about changes in the law and how to write and execute search warrants. My skill and knowledge is now devoted to helping you, a private citizen accused of a crime to make sure that your rights are not trampled upon. If you do not already know, being a criminal case has many potential negative consequences. Your professional, educational, social status, and especially your ability to live free can be affected for many years to come. Even misdemeanor convictions may result in jail time, fines, and other penalties. If you have been formally charged with a crime or believe that you are being investigated for possible criminal activity, you should talk to an attorney as soon as possible. Even while a prosecutor, I was already identifying cases where the constitutional protections guaranteed to criminal defendants were violated. The Sixth Amendment provides that a person accused of a crime has a right to the assistance of counsel for his or her defense. This right begins during preliminary proceedings and continues through certain stages of the post-conviction process. People who are suspected of criminal activity also have a Fifth Amendment right to remain silent while being questioned by the police protecting the accused against self-incrimination. Another important constitutional right is the Fourth Amendment freedom from unreasonable searches and seizures, which requires police to have probable cause in order to obtain a warrant. The way these protections apply in each case can be complicated, but I have devoted my career to mastering their application in case law for the protection of my clients. The prosecution has the burden of proof in any criminal case. This means that the State must prove each and every element of the crime of which the defendant is charged beyond a reasonable doubt. For example, in a driving while intoxicated (DWI) case against an adult, the State must show that the defendant had a blood alcohol content (BAC) of .08 or greater or had lost the normal use of mental or physical faculties due to the introductions of alcohol or drugs. Depending on the situation, it may be possible to cast doubt upon the prosecution’s version of events by investigating the circumstances leading to the arrest and the procedures used to administer the tests, and I treat every case as unique. I provide honest, real-world assessments of options and chances of success for my clients, equipping them to make informed decisions on their case. In some cases, there may be mitigating factors that may reduce the penalties if the defendant is convicted. I want to know everything about my clients. Many of my clients have extremely compelling circumstances in their case or their past that can help with getting a lower sentence. I make sure that I ask the right questions to bring that information out. In cases where guilt is a foregone conclusion, proactive rehabilitation and treatment can be key. I know treatment providers across the Dallas metroplex to get my clients treatment that, in many cases, they desperately need. There may also be aggravating factors that may enhance the penalties which must be identified very early in the case and avoided if at all possible, especially mandatory minimums through Texas habitual offender laws or Federal mandatory minimum penalties like armed career criminal, 18 U.S.C. § 924(e), or using a firearm in a crime of violence or drug trafficking, 18 U.S.C. § 924(c). In some cases an affirmative defense can lead to an acquittal, even if the prosecution can establish the elements of the offense. While the burden of raising an affirmative defense rests on the defendant. In drug cases, for example, a defendant may be able to defeat a charge by using a defense of entrapment, mistaken identity, or by proving that the search is unlawful to the judge or a jury. In a murder case or even an assault or domestic violence case, it is an affirmative defense if the accused can establish that he or she was acting in self-defense against the alleged victim. I have a great understanding of all defenses, current case law, and applicable jury instructions which has been the winning difference in many of my cases. If you are facing prosecution in the criminal justice system, you need an attorney who will zealously and intelligently defend your rights. As a Dallas criminal defense lawyer, I have represented people who are fighting a wide range of charges under the Texas Penal Code, from Class B misdemeanors all the way to capital felonies. I know when a defendant’s rights have been violated, and I will be honest with you about your chances in court, should the matter proceed to trial. To put my experience, knowledge, and skill to work on your case, call us at (214) 762-6302 in Dallas/Plano or at (972) 722-5300 in Rockwall. You also can contact us online to set up a free consultation if you need a DWI attorney or representation in any other criminal matter. I represent defendants in cities such as Rockwall, Dallas, Plano, Garland, Mesquite, Frisco, Heath, Richardson, Wylie, Sachse, Allen, and McKinney. I will go to surrounding counties and other parts of Texas on a case-by-case basis. 10++ stars. This is the most knowledgeable assertive attorney in criminal defense. He is worth his weight in gold!! He took care of my situation quickly and kept me informed the entire time. He is a attorney that truly cares about his clients and that is hard to find. Meet Brian Corrigan Brian Corrigan is a dedicated criminal defense attorney who has devoted himself to representing individuals in Rockwall, Dallas, and across North Texas who have been accused, investigated, or charged with State or Federal Crimes. Corrigan has tried over 150 jury trials and handled over 2,000 felony and misdemeanor cases in crimes ranging from driving while intoxicated and family violence to drug trafficking, white collar crime, child abuse, and murder. 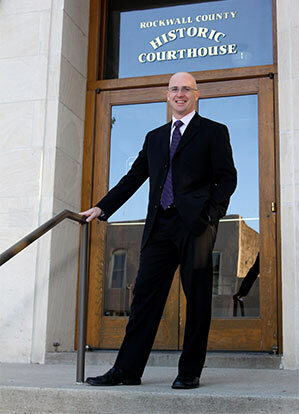 He is also board certified in criminal law by the Texas Board of Legal Specialization.